Meizu's CEO dropped an interesting nugget about the hardware of the highly anticipated MiniOne M8. 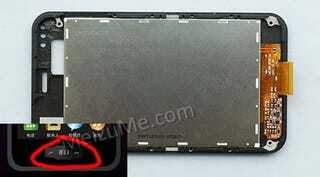 Apparently, the smartphone will feature three physical buttons, as oppose to a single one right in the center. That means it will differ from another phone that it bears a striking resemblance to. AND they're trying to patent this. AND that is going to do them a lot of good in native China. Of course, the new information means any screenshots we have seen of the hardware in the past are now inaccurate, from the front at least.